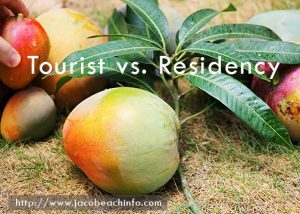 How a vacation in Jaco becomes home. Tucked away in the small town of Jaco, Costa Rica you’ll find a community that feels like a good friend you haven’t seen in a while. Many people come for vacation and end up leaving with a home. It is a timeless place with a unique variety where you can indulge in modern comforts as you enjoy a time of leisure and ease. You’ll find beautiful luxury resorts and condos, ecofriendly hotels and hostels, super markets, local farmers markets, touristic adventures, vast amounts of unexplored jungle and mountain, and great churches (English and Spanish). You’re guaranteed to see the “Pura Vida” (pure life) lived out every day in this community from the local and foreign Costa Rica Resident. All of these convinces bring us to the classic sayings “if you vacation in Cost Rica you’ll never want to leave”. Not only is Costa Rica one of the fastest growing countries in Latin America, Jaco is one of the fastest growing cities. Don’t let that scare you away by assuming that this city will soon be a crowded metropolis. We’ll leave that to San Jose. Why I Choose to be a Costa Rica Resident? There is a reason why the locals ask when you are returning instead of saying goodbye. This place has a pull to it that is irresistible, making it feel like home. Jaco is and will always be the mascot for the “pure life”. 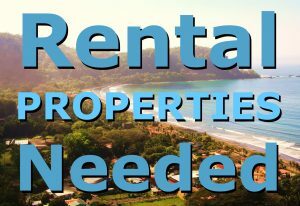 A necessity for a happy Costa Rica resident is location! location! Location! Jaco is sandwiched between the Pacific coastline and Mountains. The ocean’s edge is defined by a curving coastline, creating a the 4 mile long beach in Jaco’s bay. With these natural city limits the town quite literally finds itself tucked away in it’s own little paradise. 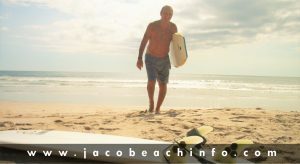 The sand and surf mentality is active in Jaco, creating a “chill” and friendly environment. You can easily find a local or expat Costa Rica resident, readily willing to help you find a restaurant, show you where your hotel is, or even help you pick out the best fruit. The people are friendly, the scenery is beautiful, the food is fresh, and the lifestyle is healthy in every way. Jaco, Costa Rica is a popular place for vacation because of its tourist opportunities, but it becomes home to many international residents. The bilingual community and incredibly welcoming people create the perfect atmosphere for this international relocation hotspot. A large group of tourist who become residents can testify that there is not reason to goodbye. There are hundreds of wonderful things about Jaco Beach that constantly show its Costa Rica residents the joys of living here. The food, the beach side properties, the people, the culture, and the “Pura Vida”. Once you have fallen in love with the area you have to make a choice. The tourist visa is automatically given to many international travelers but you have to leave after the allotted time is over. For US travelers this is normally a 90 day period. If you have invested in a property or business you can aim at the investor status which is great if you where planning on buying property anyway. Or if you are a retiree receiving a pension they have a status just for you. In the end, if you are asking this question it is time to speak with a specialized residency attorney. The laws are constantly changing and improving so make sure you speak with someone that is an expert in the field. Otherwise you may be wasting time and money. For more resources of how to get your Costa Rica residency click here. For more information on all the different towns and communities click here. If you need a residency attorney recommendation or have real estate questions… contact a licensed REMAX real estate agent.